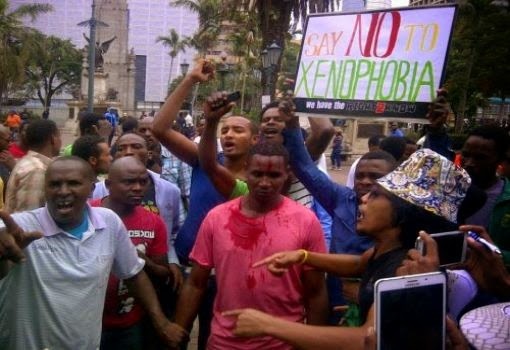 Home news What's behind xenophobic attacks in South Africa? Shops looted and set ablaze. Terrified foreigners hiding in police stations and stadiums. Machete-wielding attackers hacking immigrants to death in major cities in South Africa. As attacks against foreigners and their businesses rage on, killing at least six people this week, other nations in the continent are scrambling to evacuate their citizens from South Africa. But this is not the first time xenophobic violence has exploded in a country that tries to portray itself as a diverse "rainbow" nation. The attacks started after Zulu King Goodwill Zwelithini said at a recent gathering that foreigners "should pack their bags and go" because they are taking jobs from citizens, local media reported. Shortly after his comments, violence against immigrants erupted in the port city of Durban. His office has denied he made the comments, saying journalists misquoted him. While kings are mostly ceremonial figures in the nation, they are influential in their communities. But the United Nations said the attacks started in March after a labor dispute between citizens and foreign workers.